Standardize, control, and streamline reconciliation. 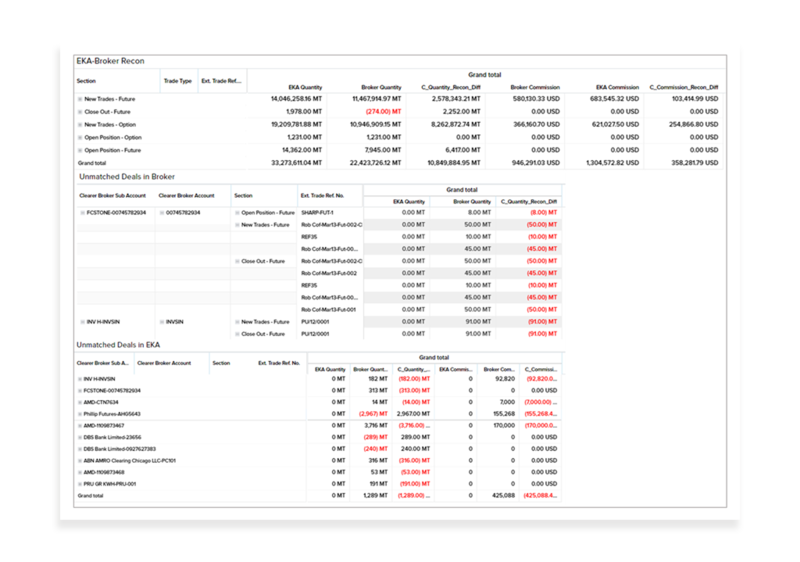 Find breaks between any two systems, modules, or reports. Identify and avoid reconciliation errors. Monitor breaks and breaches for any entity. Track reconciliation reports in real time. 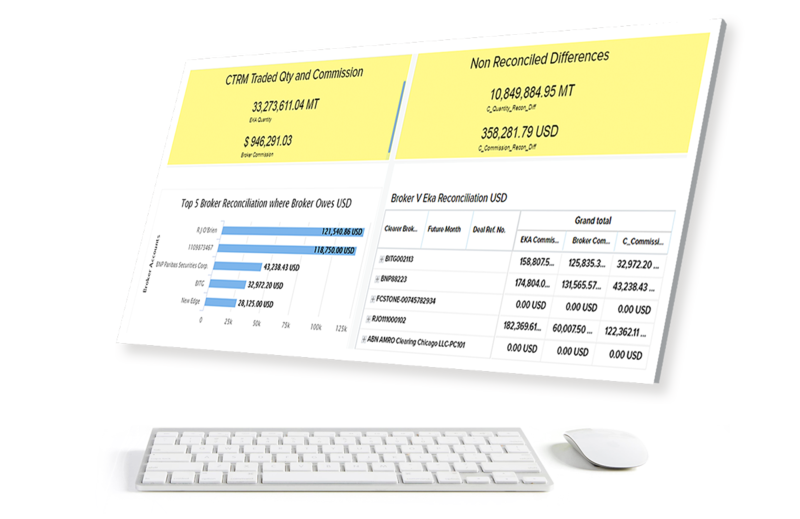 Undertake complex grouping, matching and mathematical calculations to reconcile trades, stocks, commissions, and more from disparate systems. Avoid delays and errors in the manual reconciliation process. Drill down into differences/ deviations and identify root causes. Save time and money by reducing EOD and EOM time pressure.